Depending on who you ask, content marketing is an evergreen strategy or content marketing is dead. No one is on the fence about this one. It’s either all or nothing. However, take a moment to look at the results of your current content marketing strategy. Is it working? Is it worth the money you pour into crafting incredible pieces of content? If you’re honest, probably not. If the strategy so many experts say works is failing for you, what else is there? It’s a question many businesses and entrepreneurs ask themselves. After all, would you keep buying the same Facebook ads if only a few users converted? Not at all. Go ahead and take a moment to mourn the death of content marketing. A new player has arrived and it’s changing the way everyone experiences content online. Did you realize there are over 2 million blog posts published daily? Why so much? Some of them are just ramblings from random people, but others are because content marketing is supposed to work. Of course, that number is just for blog posts. In a single minute, 400 hours of video are shared and Snapchat users watch nearly 7 million videos. It’s no wonder content seems so meaningless anymore. When was the last time you remember truly engaging with a piece of content? This is why people just skim content. There’s too much out there to take the time to read anything. Plus, most of what you need to know is just in the headlines. People don’t like marketing content. It’s too pushy and isn’t exactly useful unless you’re looking for that specific product or service. Of course, businesses think it’s the most wonderful thing since binder clips replaced paper clips. What businesses think doesn’t matter. It’s a harsh truth, but get used to it. Content marketing is dead because no one likes to waste their time reading an ad. It’s boring. There’s a reason Super Bowl commercials are so popular. They’re different from standard ads. If you’re using content for marketing, it needs to be better than any Super Bowl ad and far more useful. It’s content that’s appealing and engaging that attracts readers to your business, not a rambling post about how great your products are. Absorb this for just a moment. Humans aren’t search engines and shouldn’t be exposed to content made for search engines. People don’t think like search engines. They aren’t just looking for some keyword. They don’t care about keyword density or anything else related to SEO. Skip SEO. Get it out of your mind right now! It has far too many negative connotations about keywords, headings and so on. Besides, who has time to truly study those long keyword reports all the time? All humans want is content that focuses on them. This is where user experience (UX) starts to come into play. As the phrase implies, it’s about the user’s experience, not the brand’s bottom line. Take the human search engine for instance. Article One Partners is comprised of over 40,000 researchers across the globe that does what Google can’t. 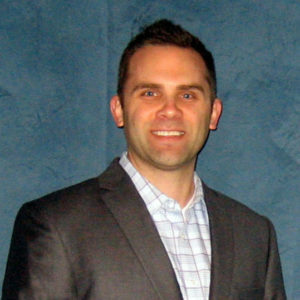 The company gathers concrete data to specific queries. While Google works great for some things, it can’t solve all your problems. When people read content, they want it to solve a problem or tell them something they didn’t even know they needed to know until right then. It’s the difference between content that just fills time versus content that stops time. Stop catering to search engines. If you’re crafting content with UX in mind, readers will find it. They’re much better at digging out the good from the bad than you might think. In keeping with humans wanting a more human experience with content, it’s important to cover the rising popularity of influencers. At first, a blog post might seem legitimate. It covers the basics, but wait! That’s all it does. This is sets influencers apart. They are experts in their respective fields. Instead of people having to hunt down content via search engines, they follow influencers to help them find in-depth content on the topics most important to them. It’s the difference between trusting a complete stranger and your best friend. Plus, it’s all about the experience. Influencers don’t just say “here’s some content, read it.” They tell their followers why to interact with. They also interact with their followers. As a result, content becomes a true experience. This is why content marketers have to go beyond content and start working alongside influencers to see their content reach the right people. Influencer marketing is 11 times more effective than traditional marketing methods. That’s why 48% of marketers are increasing their budgets to focus on influencer marketing. They’re trying to help create that experience that helps set their content apart from the rest. NinjaOutreach’s Twitter and Instagram influencer tools help you search for the top influencers on two of the top social networks. Instantly see the most respected influencers in any niche, no matter how popular or obscure. Of course, searching for them is only half the battle. The next part is getting them to help you out. The best way is to use personalized messages, but this isn’t easy when you’re trying to contact multiple influencers. Simplify and speed up the process with personalized templates from NinjaOutreach. Not only does it make sending messages quicker, but you’re also able to fully track interactions with each message to better calculate your ROI. It’s not about the words you use or the frames in a video. Content marketing is dead because somewhere along the way, content lost any type of meaning. It became just words or just frames. People are better off just reading a dictionary and hoping for the best. Think about the last 10 blog posts or articles you read. How much of them do you remember? Did they just seem to blend in with everything else you’ve read? Probably. If you’re lucky, one of them might have stood out. Even if you pepper your text-based content with images or make your videos look like blockbuster action films, you still need meaning. If it doesn’t have the special something that makes a reader stop and go “I want to slow down and read every last word,” it’s just words and forgettable words at that. So how do you get past traditional content marketing and create something better? 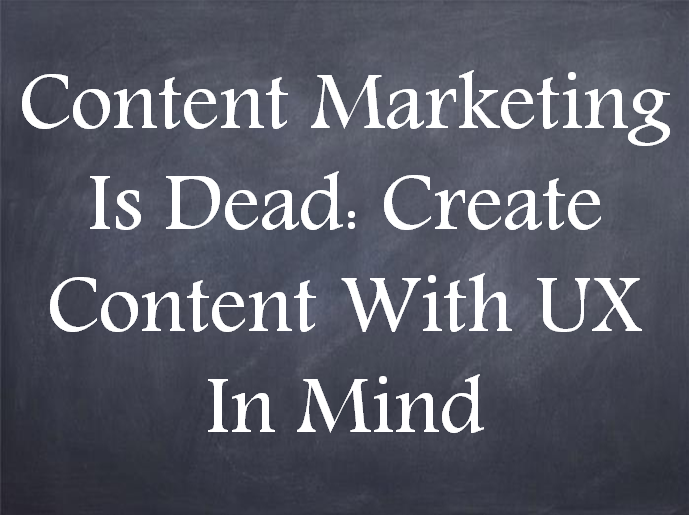 While content marketing is dead, content is still useful if you do it the right way. You’re not a UX designer and you don’t have to be. Most people see UX and write it off as something that’s just for web design or product design. Think about your latest blog post. Wasn’t that a product in its own right? Yes. If you answered no, take the blog post down now. •	Useful – Every product must be useful. •	Usable – If a product isn’t usable, it’s useless. •	Desirable – Make people want the product. •	Findable – Products shouldn’t be overly complex. •	Accessible – Everyone should be able to use the product. •	Credible – People should trust the product. •	Valuable – Products must offer some type of value. 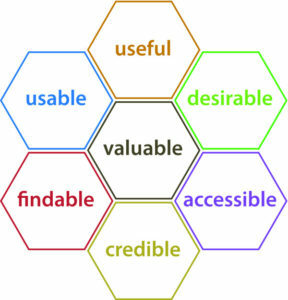 The User Experience Honeycomb should help you remember these each time you create new content. Do your current blog posts and articles follow these basic principles? If not, this is why your content marketing strategy isn’t nearly as effective as you’d like. 1. Is this content useful to the reader or just to the business? 2. Is the content easy to read or is it filled with big words and jargon? Is it filled with keywords or unrelated links to products that distract the reader? 3. Is there anything about this content that’s unique? Would a reader choose this over anything other blog post? 4. Is the content difficult to consume? Are their sub-heads to break things up? Are paragraphs short and easy to read? 5. Can people consume this content on any device or screen? Is it truly accessible to everyone? 6. Does this content inspire trust? Would readers feel doubtful after reading this? 7. Does the content give readers something in return for their time? Do they feel as if they received proper value for the cost of their time? Rollercoasters, weekend hiking trips, concert festivals and visiting new countries are experiences. However, content should be its own experience. It’s rare to find content that leaves you feeling like you just had a unique experience. It doesn’t have to incredibly life changing. Maybe it could be like trying your new favorite food for the first time. The idea is to create a memorable experience. This is what UX is all about. UX design attempts to take something bland and boring and turn it into an engaging experience that keeps people coming back for more. This is why some blogs never have to go viral to succeed. They just continue to create content with UX in mind. Each piece stands on its own and makes readers want to keep coming back to see what’s next. Naturally, this doesn’t just apply to blog posts. The same holds true for videos, infographics, email newsletters and any other type of content you might want to create. Didn’t that image make you just want to hug and squeeze the cute little penguins? Who wouldn’t! That’s the kind of emotional connection your content needs to create. People are naturally emotional. You could give them facts for hours, but until you say that one thing that connects them emotionally to your product, they might never buy. This is why so many articles and blog posts have an image with them. It instantly grabs attention and the reader is already forming an emotional connection before they’ve read anything more than your headline. Hence, the penguin picture. Before you even read what was below it, the image had affected you on an emotional level, even if just a little. Use your content to go beyond marketing. Create that connection by appealing to their problems. Give them answers to questions that constantly plague them. By catering you content to their needs and focusing on their experience, you not only build an emotional connection, but build trust as well. It’s a win-win for everyone. You’re still marketing, but instead of it feeling like an annoying telemarketer, it feels more like a friend gently suggesting a product. Which would be more effective for you? 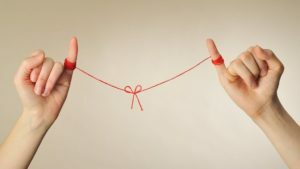 Once you’ve created that emotional connection, you’re not done. A romance novel is full of emotion, but it’s the underlying plot that makes readers stay. Your content needs a plot. This goes back to the value part of UX. Your content must provide value. This doesn’t mean begging them to download a free ebook or contacting you for more information. Instead, give them step-by-step guidance on how to tour Paris like a local. You might casually mention your translation app for better understanding French. Instead of just pushing the benefits, you’re giving readers true value. You’re helping them have a better vacation in Paris. Instead of just seeing the usual sites, you’re giving them an insider’s look. It’s this type of content that makes readers trust your business and want to see what else you have to give them. It may take several pieces of content before they make a purchase. They may also decide to never make a purchase. However, they might just help your content go viral. Who hasn’t wanted their content to go viral? It’s actually easier than you might think. When you create content with UX in mind, you’re creating potentially viral content. For content to go viral, it has to engage the reader. Creating content that serves as an experience is engaging. This leads to people sharing the content with others. Even if they don’t buy, the people they share it with might. Think of it as organic marketing just by following UX design principles with your content. Keep the User Experience Honeycomb with you the next time you create a blog post, article or video and you’ll see that while content marketing is dead, content itself is very much alive. Excerpt: Forget everything you know about content marketing because content marketing is dead and gone. To succeed, think of the user and start creating content with UX in mind. Previous Previous post: How small business can improve website traffic fast? Next Next post: How to Make a SMS Marketing Campaign Successful?